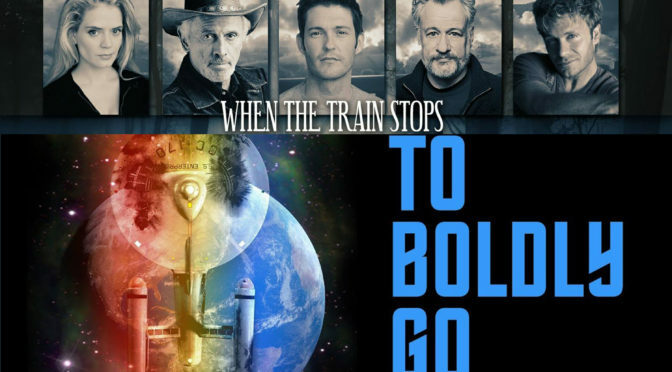 This week we welcome Kipleigh Brown, Lisa Hansell, and James Kerwin to discus the Star Trek Continues Series finale To Boldly Go and the upcoming short film When the Train Stops! 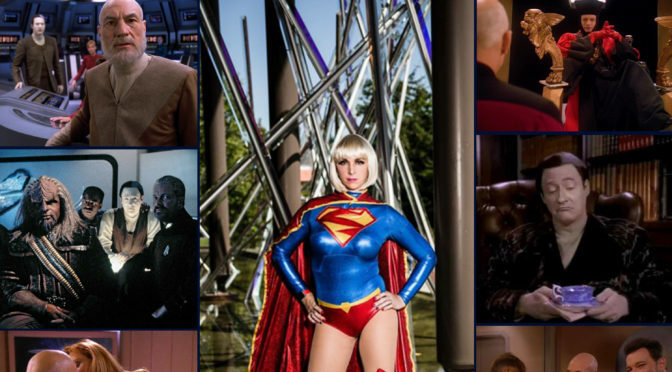 We had a great time talking with our guests about the passion and attention to detail that makes Star Trek Continues come alive, and how emotionally charged the series finale was. Last time James and Kipleigh joined us on the show they teased an upcoming project called When the Train Stops today we get to hear Lisa expand a bit on the project. We learn who the principal actors will be and that the film will have a twilight zone like feel to it. The conversation with James, Kipliegh and Lisa was fantastically fun and we hope you all enjoy your weekly shot of Star Trek! If you like the show please leave us a rating and review on either platform. 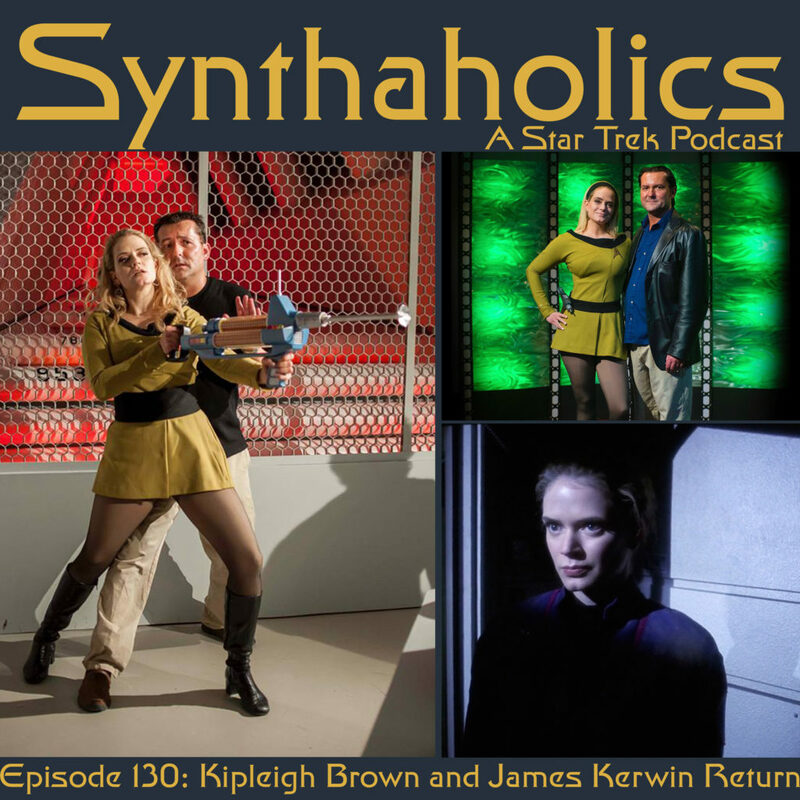 Episode 130: Kipleigh Brown and James Kerwin return! 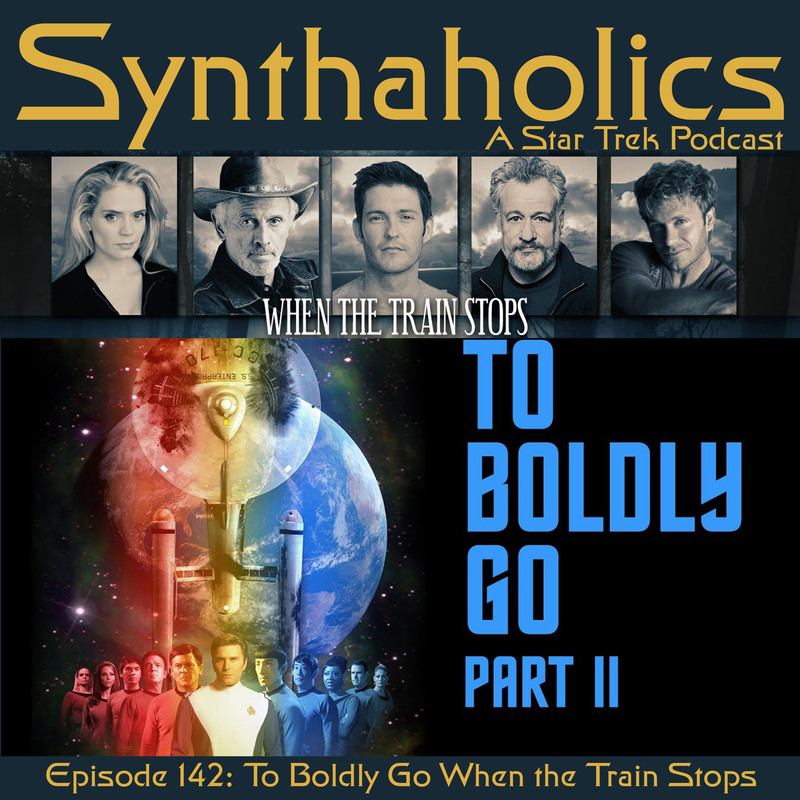 This week on Synthaholics guests Kipleigh Brown and James Kerwin return to talk Star Trek Continues. James Kerin directed and wrote the teleplay for the recent Star Trek Continues episode “Embracing the Winds”. Kipleigh Brown plays Smith on Star Trek Continues and she wrote the teleplay for the most recent episode “What Ships Are For”. We found out the cast and crew recently had screenings of “What Ships Are For” at ILM and and Pixar so we got to hear about that. Writing becomes a major topic of the episode and this gets us sidetracked into discussing recent science fiction film! It was an absolute pleasure having Kipleigh and James join us this week, so we hope you enjoy this extra special shot of Star Trek! True Q is an episode we haven’t revisited in a long time. Off mic we have been talking about doing a Q episode and while David was in transit back home from my trip down south this episode sprung into his mind. Part of the trip randomly are talked about during this episode as we do a bit of rabbit holeing! 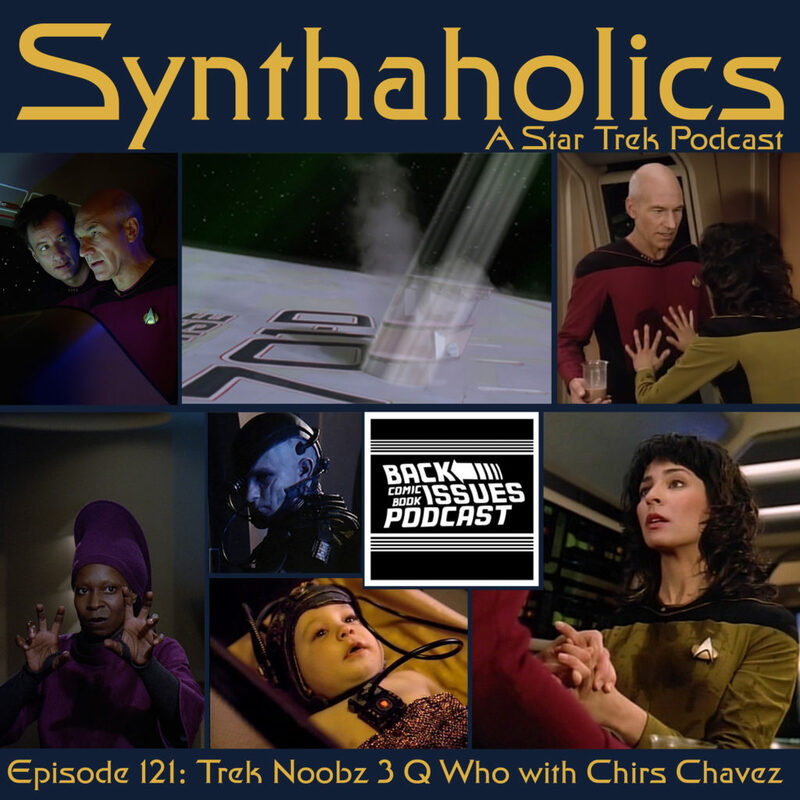 This is an interesting episode, as all of Q episodes are usually some of the better Star Trek episodes. We see how the intern Amanda Rodgers is actually an new Q. Amanda says she wants to be human and have a normal life but sometimes love gets in the way of the best of intentions. If you have a ton of different rums look up how to make a Warp Core Breach because it’s time for your weekly shot of Star Trek!